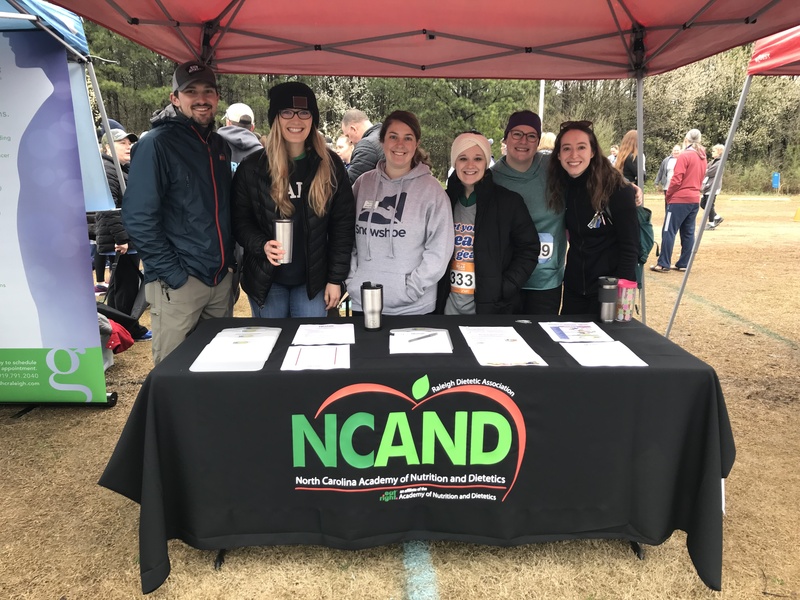 If you would like to join the Raleigh Dietetic Association (RDA), click here. RDA members promoting dietetics and supporting local dietitians at Get Your Rear In Gear 2019! April 18, 2019, 6:30 pm: Join us for a virtual journal club meeting to analyze the article, "Metabolically healthy obesity: epidemiology, mechanisms and clinical implications." Email [email protected] to receive the article and be added to the call. April 30, 2019, 6:45 pm: Member Meeting at WakeMed Cary. Topic: The Blenderized Diet for Enteral Patients. For more details or to register, click here. April 22, 2019: Last day to apply for the Academy of Nutrition and Dietetics Foundation Scholarships. Click here to apply. May 18-20, 2019: Plant-based Prevention of Disease conference in Raleigh, NC. Click here for more information. June 3-6, 2019: Nutrigenetics, Nutrigenomics, and Precision Nutrition Short Course in Kannapolis, NC. Click here for more information. Click here to learn more about the current RDA Board Members! You can count on us to provide you with fun, exciting, and informative professional opportunities here in the Raleigh area! Stay tuned for more events! Connected with your RDA on other social media? Find us on Facebook and Twitter.